It is not long ago that a sushi chef’s daily routine included waking up at 5am to visit the local fish market for fresh fish of the day, and fresh sashimi were a treat reserved for coastal cities. Thanks to the advances in flash freezing technology, fresh catch can now be flash frozen fresh out of the ocean, and delivered to locations thousands of miles away while maintaining its exquisite flavor. 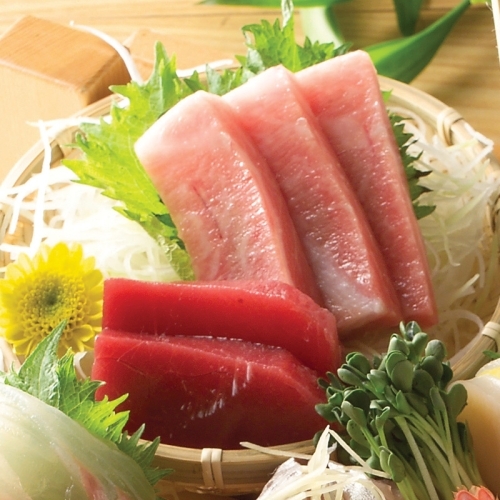 Ming Hong International is a leading supplier of sushi grade frozen seafood in the North American market. A good sushi chef knows the best cut by examining the texture and color. Our sushi grade frozen fish meets the requirement of top sushi chefs in terms of aesthetic and food safety. We offer a full line of frozen tuna, salmon, escolar, ama ebi, sushi ebi, nobashi ebi, unagi, anago, tako, hamachi, ikura, masago, tobiko, izumidai, soft shell crab and etc. Inventories are kept in several cold storages coast to coast in order to better serve individual local markets. If you are looking to distribute quality frozen sushi seafood to your customers, you’ve come to the right place.